Barcelona is known for being a cosmopolitan city with many influences from around the world, and more so, from around different areas of Spain. With a large Andalusian population, it’s no wonder that Barcelona has adopted so many traditions from the south of Spain and made them its own. One of the best? 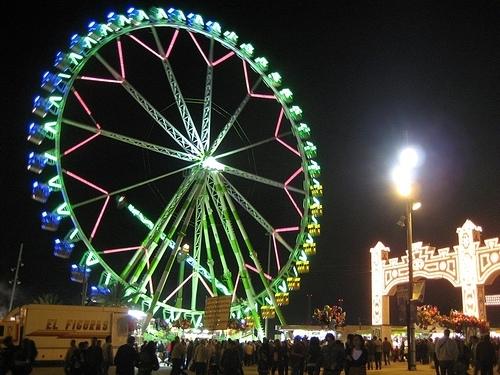 La Feria de Abril, otherwise known as the April Fair. 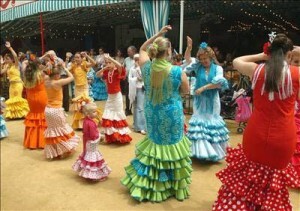 Originating in Seville, the April Fair begins around two weeks after Easter every year. For an entire week, the inhabitants of Seville celebrate life with fantastic food, gorgeous costumes and long, sometimes all-night, fiestas. Over the years, Barcelona has started up its own version of La Feria de Abril, complete with Flamenco dancers, bright colors, paella, and lots of partying. This year, the April Fair will begin on Friday, April 27th and last the entire week up until May 6th. Bursting with locals of all Spanish backgrounds, as well as many tourists craving a taste of the Andalusian party-scene, this festival is one not to be missed, especially if you are on a family trip to Barcelona. The Feria itself will be composed of two different parts: one being the large fairground and all the typical treats that go with it (yes, including candy floss!). Visitors to the Catalan capital will also be able to enjoy the giant Ferris wheel and smaller rides for children. The second part of the Fair consists of a long line of marquees called “casetas” filled with the dancing “Sevillianas”, free music, and food and drink native to Seville. This year, the April Fair will be held at the Parc del Fòrum, in the Diagonal Mar district of Barcelona, making it easily accessible for anyone wanting to take a peek. The Metro will even be extending its operating hours so that access to the Fòrum is not limited. The nearest Metro station to the Feria is the Maresme/Forum on L4. From there, it is just a short walk to the venue. 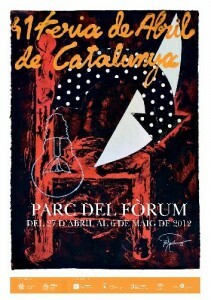 The April Fair is certainly one of the most spectacular events in Barcelona. Though it may be a smaller version of the real Feria de Abril in Seville, Barcelona’s bright and colorful affair offers a perfect taste of the real thing. Plus, it’s free! 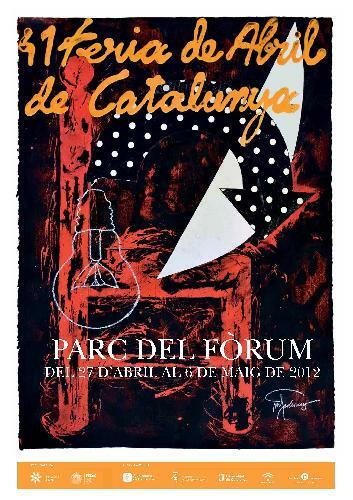 If you’re coming to Barcelona during the week of the April Fair, you absolutely must make your way over to the Fòrum. You could even stay in one of many Barcelona apartments near the beach and soak up that April sun, before heading out to enjoy these fantastic festivities. This entry was posted in Activities, Events and tagged barcelona activities, Barcelona culture, barcelona events, barcelona festivals, barcelona tourist guide, barcelona traditions, catalan culture, spanish culture, spanish food. Bookmark the permalink.